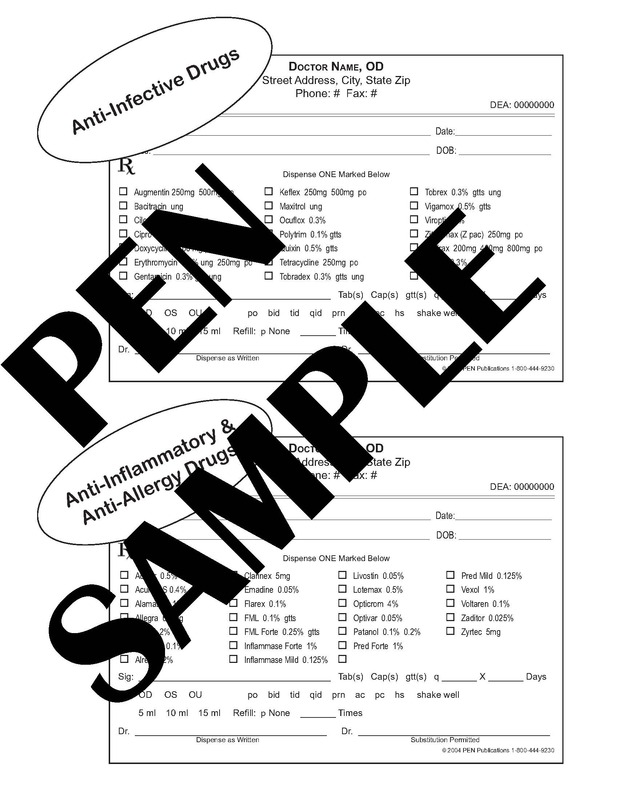 Available in five formats (Custom, No Drugs Listed, Anti-Infective, Anti-Inflammatory/Anti-Allergy, or Glaucoma) and includes common Rx abbreviations that you simply circle. Your order includes personalized imprinting and a quick reference card of abbreviations. Choose from 50-sheet pad or 25 sets of 2-part NCR forms. Pricing breakdown is per type of Rx pad.